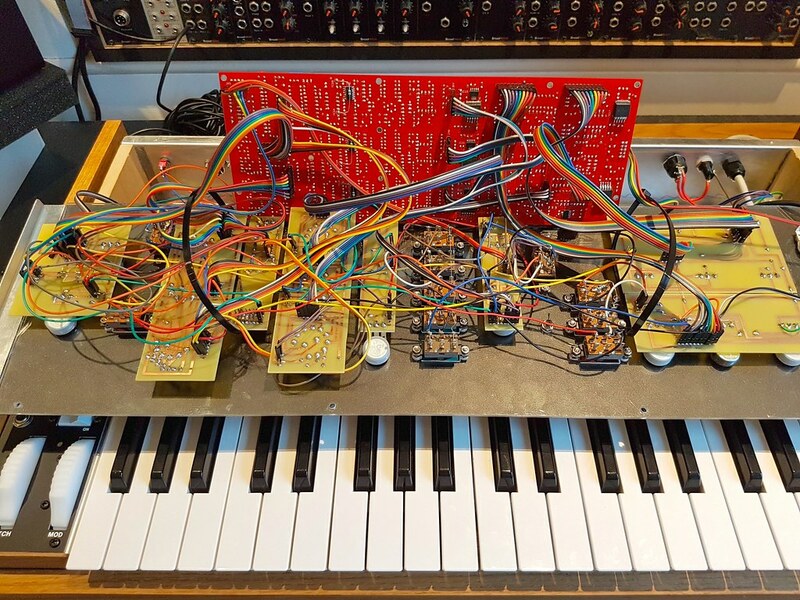 Has anyone looked at the possibility of making a full-sized panel for the Behringer Model D yet? I find the teeny weeniness of it frustrating and yes, I am old, have a ponytail and a 5u. Love to see that also! I would love to participate in a Boog conversion thread/groubuy, etc. 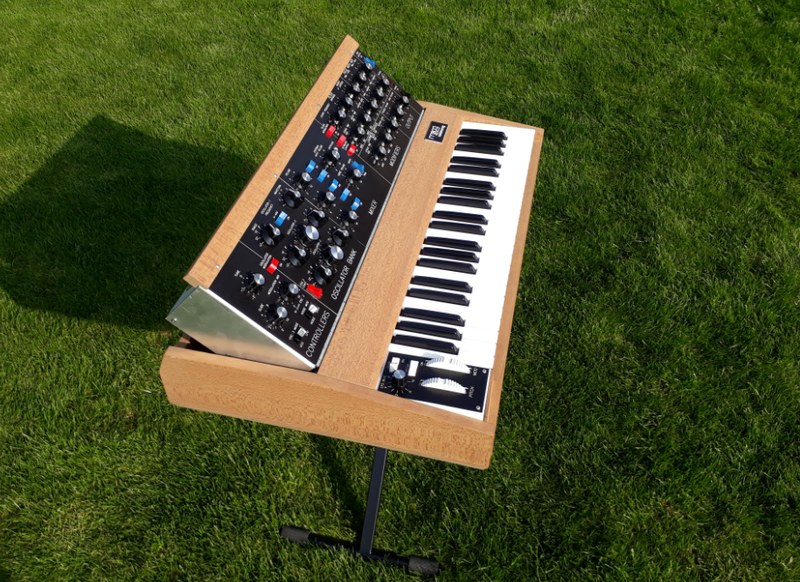 Full size moog starting to look attainable. big old BOOG emblem on the back! plus add some mods(havent seen anyone doing mods to the behringer mini yet?) and extra modules features effects. How would that work though? All the pots and switches are laid out as they are on one PCB. You’de basically be re doing the whole thing no? Should only be a matter of taking the original switches/pots/jacks off and soldering wires to larger versions on the front panel. These components are through hole AFAIK so it shouldn't be too difficult. There is a guy posting mods on gearsl*tz. He's taken it pretty far already. agree, then those components could upgraded to something more substantial then Behringer's choice like placing nuts on the Jack's so they don't wobble. or fullsizeify a roland se-02 and get, you know, modern synth features as well. This is about modifying it to be put on a large panel, not to use it as an excuse to take snipes at an "issue" that only seems to bother you. THE POTS AND SWITCHES ARENT MOUNTED TO THE PANEL> VOMITS ON SELF> i hate that. so wobbly. oh no, it would be the perfect time to upgrade the jacks and switches. Its not rocket science. I did it to the Crowminius pcb so it surely can be done to the Boog pcb. Look at "Presenting: Crowminius" page 41 on MW. And no it is not that expensive at all. For CAD files PM me. Very nice work there Troubleshooter - looks exquisite. plus some others and plenty of discussion about dimensions all over the net. I did not use that drawing. My dimensions are based around hardware you can actually order like Fatar keybeds, digikey switches etc...and ready for CNC manuafacturing the induvudual parts. Does that rendered drawing contain the internals aswell? That's a really nice job, can you tell me where you sources your knobs & switches from please? Someone has done this before. They replaced it with the MME board and sold off their BOOG. Actual switches are orange instead of red and light blue instead of dark. But those aren't readily available.